Audiometric testing in the workplace is not new, however, in recent times, due to the inclusion of regulations in the OHSA act, the practice has become more prevalent. After 2005 when noise regulations were imposed stating that anyone who is subjected to noise levels of 85 dB or more must be provided with audiometric testing to safeguard the employer and employee in the event of future necessity. The concept of audiometric testing in the workplace is very much like an audiometric test you would more than likely have undergone at school to measure your hearing abilities. This kind of testing in the workplace situation is carried out either in specially designed mobile units or a quiet room within the building, whichever is more suited to the requirements and preferences of the company involved. The audiometric testing process is fairly simple and completely painless. The person being tested is asked to wear a set of headphones. A series of sounds of differing volumes and pitches are transmitted through the headphones. The person being tested acknowledges when a sound is heard and in this way the tester is able to identify whether or not any hearing loss has taken place. Each test only takes about fifteen minutes to complete and the use of highly calibrated equipment is essential for valid results. Each test will be presented with results allowing the company to take the necessary precautions and measures to comply with noise regulations and ensure the safety and health of their employees. Any audiometric testing in the workplace should always be carried out by a professional who is certified and has the necessary experience in the field. 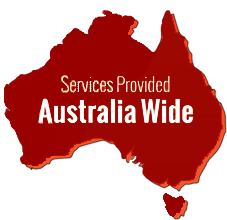 Equipment used needs to be of the highest caliber and compliant with all health and safety regulations set in place by the state. The initial testing should take place within the first three months of employment and the results from that should be used as the baseline against which all other future results are to be measured. The follow up test needs to be undertaken after twelve to twenty four months at the maximum to measure whether any hearing loss has taken place or if hearing has remained constant. Follow up monitoring bi-yearly, or more frequently in high risk situations, is required if no shift in threshold has been measured. When your hearing is exposed to noises above 75 dB, the sensitivity of your ears will decrease. This process of de-sensitising is called a threshold shift and can take place in a number of ways. Temporary threshold shift recovers gradually after noise exposure. Permanent threshold shift does not recover and is permanent. There are actions that need to be taken in instances where sufficient hearing loss has taken place to compromise the safe performance of employees and interfere with their communication abilities. All avenues should be investigated and practicable steps taken to modify the work environment. Offering employees alternative work which does not subject them to excessive noise that could further damage their hearing. Emp loyees are not safety professionals and are not aware of the risks posed by exposure to loud noise but they do need to be made aware. An employer who is safety conscious will do whatever is in their power to motivate and educate their employees on the risks involved and preventive measures that can be undertaken. Just as it is the job of the employer to ensure a safe environment for the employees, one that protects their hearing, it is also the responsibility of the employee to do what they can to protect their own hearing. As with many young people starting out whether in life or industry, they have this perception that they are invincible and that nothing can harm them. There are many workers young and old who do not believe that they are susceptible to any hearing loss risk in the workplace. Yes, over time your brain adjusts and becomes accustomed to the levels of noise around you and you may find many people making statements like they are used to the noise or it isn’t that loud when all indications and measurements show something vastly different. Your ears don’t get used to the noise, any reduction in the noise is caused through hearing loss. The employee needs to make the employee realise they are at risk and they are not invincible by producing facts. Each employee must undergo audiometric testing and the results must be kept as valid proof. Any progression of hearing loss by a scientific test such as this is enough to shake anybody into action. It has been shown that noise induced hearing loss numbers are reduced after annual audiometric testing report reveals hearing loss. In some cases the hearing loss is so unnoticeable during everyday life, however, it is enough to affect the hearing measurement. Companies can be proactive in publicly broadcasting noise level in areas or for particular equipment and this has shown a marked improvement in the number of employers who make use of their hearing protection. By posting the noise measurements publicly it also allows temporary worker and visitors to be warned of the dangers as well as reminding permanent staff. Educating workers about noise and the damage it can cause is the best way to ensure any controls you put in place are effectively enforced and implemented. As is human nature, employers are more concerned with the risks that will affect them now. Noise-induced hearing loss is not immediately noticeable and it occurs over time. The employer needs to make them aware of the future risks involved. 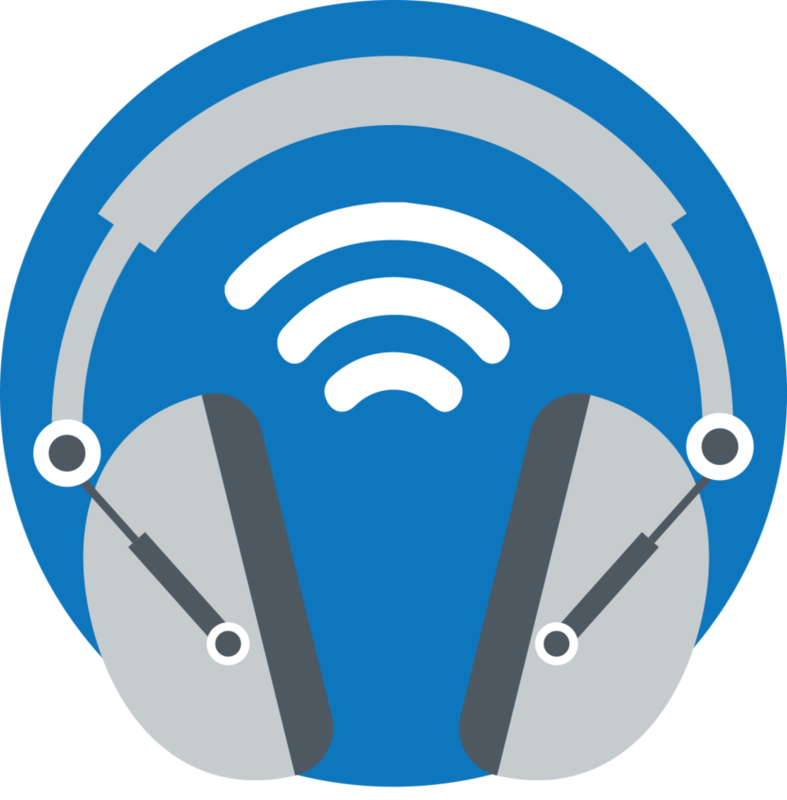 Employers often use simulated hearing losses or audio demonstrations to convey the message to employees of what could happen if they aren’t religious about their hearing protection. In instances where noise damages the hearing, the noticeable difference is experienced in clarity rather than how loud it is. This can be due to fact that noise induced hearing affects sounds that have a frequency. As an employer, don’t allow your staff to make excuses for not wearing protective gear. Ask the question after the regular audiometric testing and you may be surprised by some of the answers provided. Ensure that hearing protection is always readily available or provided in dispensers. Always ensure that the hearing protection selected is suitable for the application. 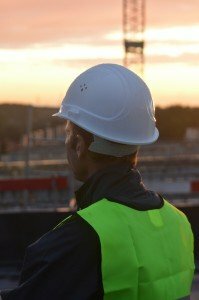 Many employees choose against wearing the gear because it causes obstacles in communication, job performance or is simply just uncomfortable to wear. Selecting hearing protection with this in mind will eliminate any potential barriers to hearing safety procedures. At the end of the day it is both the responsibility of the employer and employee to protect the hearing of the employees. The employer can make every opportunity available, however, if the employee fails to see the importance then all good done by the employer is eradicated. Because noise induced hearing presents no pain or visible trauma and the results are progressive, it is often not noticeable in the early stages and in the mind of the employee doesn’t exist. This is why it is so urgent that employees are made aware of the future risks involved. 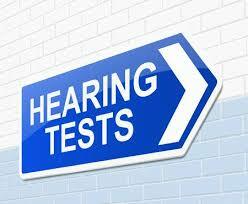 Audiometric testing is not an option, it is a necessity that should be included in any employment contract. Safeguarding the employer as well as the employee in every instance. Regular testing and results is the only way to keep a handle on the situation and identify possible problems in the workplace that need to be attended to in order to prevent further damage to the affected or other individuals. It is the employers’ duty to be rigid in their application of rules and regulations pertaining to hearing loss protection but also to educate the workforce as to why the need for it is so vital. It isn’t always easy to make employees understand what future risks could be when they aren’t affected by it now. This is where innovation and creative thinking plays a role. Use videos, posters, audio displays and whatever else you may find useful to relay the message. Perhaps get workers who have been affected by noise induced hearing loss to talk at safety meetings and help the employees to understand what the difficulties are that they have experienced and the implications of not making use of protective measures. The implications of hearing loss in the workplace are far reaching and don’t only affect your ability to communicate at work but at home and in public as well. Safety concerns are raised in all areas where hearing loss has occurred. You are not only put at risk in the workplace but in any daily activity you undertake. Something as simple as crossing a street can be detrimental. Quality of relationships deteriorates due to lack of communication or miscommunication. If you know you have been subjected to extended periods of loud noise in the workplace and you feel your hearing may be compromised, or even if it appears fine to you, go for audiometric testing. The results are well worth the fifteen minutes spent during the appointment. If all is clear then your mind is at ease, however, if not you may have caught it early on and you can still take measures to prevent further loss. In cases where hearing loss is already severe, you will be able to obtain advice on what aids and options are available to you. The professional carrying out the audiometric testing will be able to properly explain to you the damage caused and the extent of that damage. They will be able to provide you with the necessary information regarding your type of hearing loss and make you aware of the risks going forward. As with anything in life, knowledge is power. If you happen to be an employer, take the necessary steps to protect your employees from suffering noise induced hearing loss due to the environment in which they work. Your employees will thank you for it. A workforce that is well-looked after, happy and healthy is one that will reward you with productivity. In business your workforce is your set of tools and as with any tools if not properly oiled and maintained and left to degenerate, they won’t perform and are more likely to just stop working completely. For a business that flourishes, the workforce must be healthy and content and audiometric testing and hearing protection is just a step in the right direction. Don’t risk the rest of your life because you think you are invincible and above the risks posed in the workplace. You many not recognize the symptoms of your negligence now, however, you will be affected over a period of time and when you do realise it, your hearing loss may already be significant and pose risks to your well being. Make your booking for your audiometric testing or speak to your employer now to work safely and maintain good health.